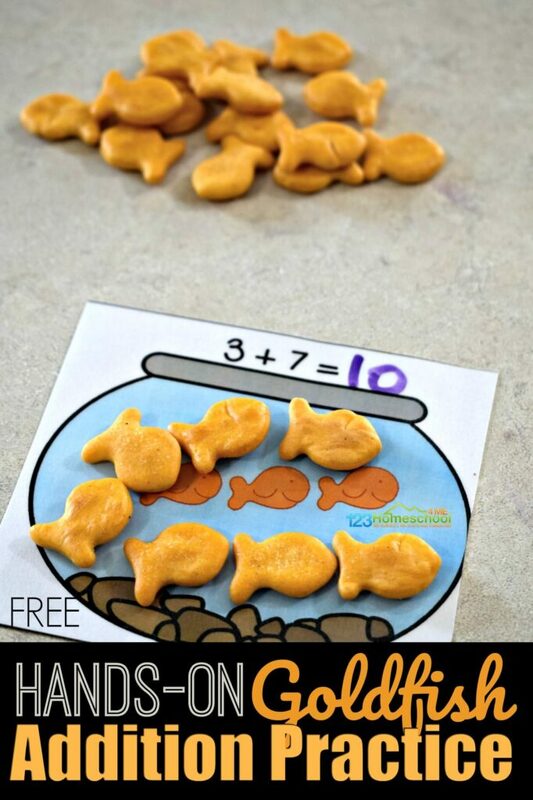 This fun, hands on Counting with Goldfish Activity is a great way for toddler, preschool, prek, and kindergarten age kids to practice counting to 12. Somehow, snacks make everything more fun! 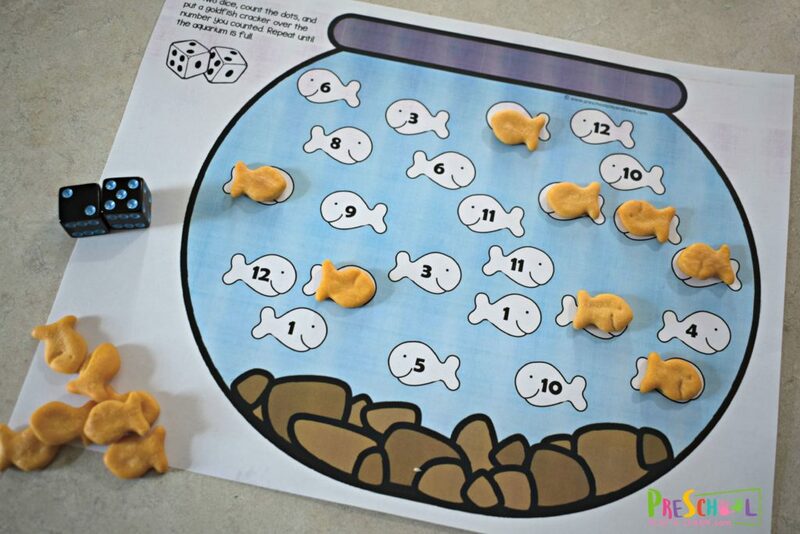 This clever, free printable count to 12 Preschool Math with Fish Crackers activity is sure to make learning exciting for kids. 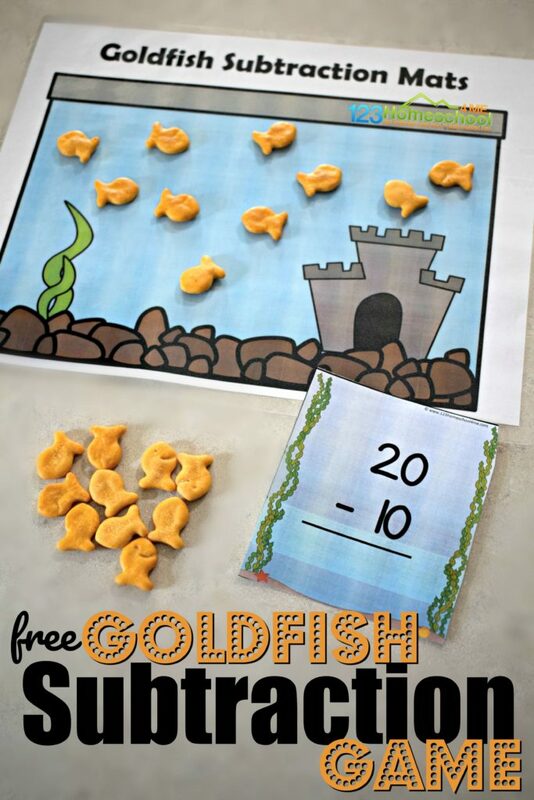 This is such a fun goldfish cracker activity! 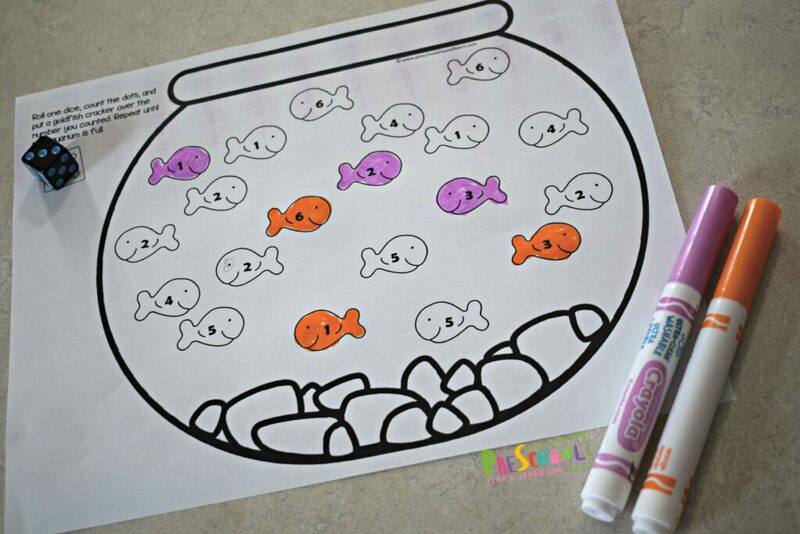 Each participant needs their own mat (color or black and white) and a handful of goldfish crackers. Take turns rolling one dice and counting the dots. Then place a fish cracker on top of a fish with the same number. Continue playing until all the fish in the bowl are covered. 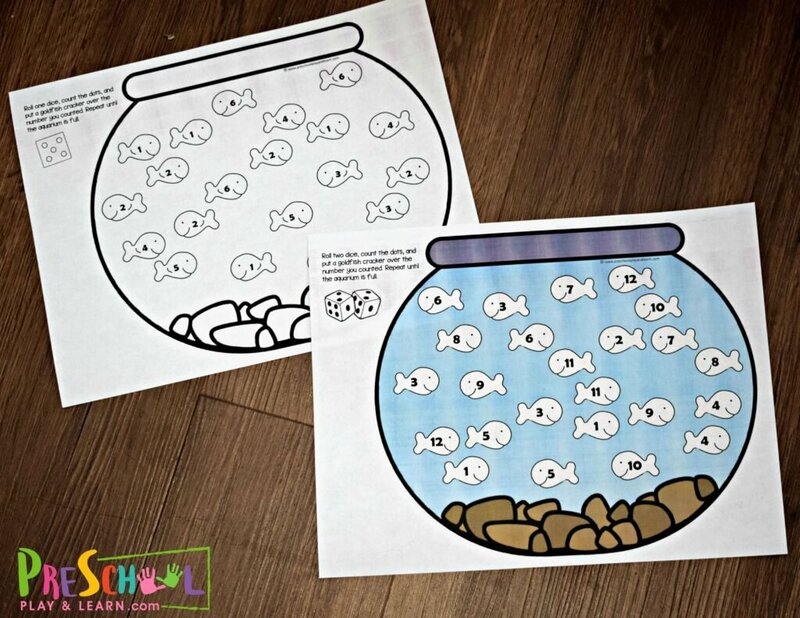 One option is you can use this math activities for preschoolers in black and white. This will help save money in printing costs. 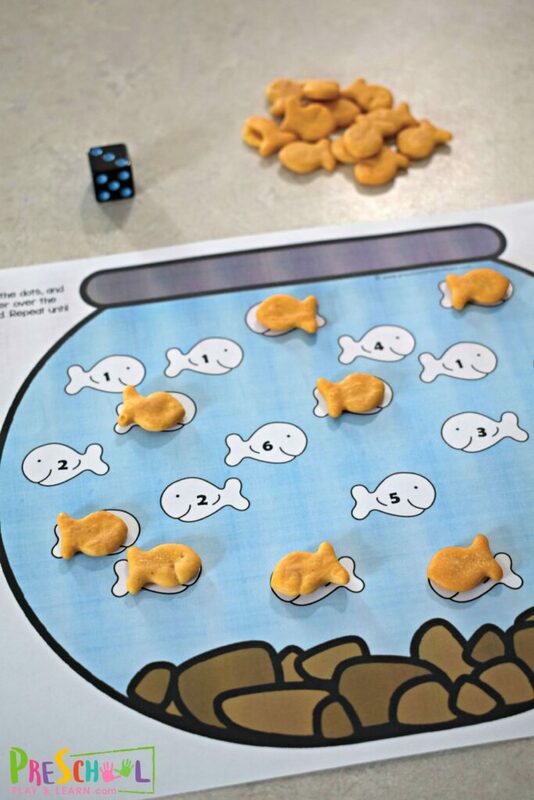 Then you can use it with goldfish crackers like above, or if your child has food allergies, you can just color in the fish instead of putting the snack fish on top. 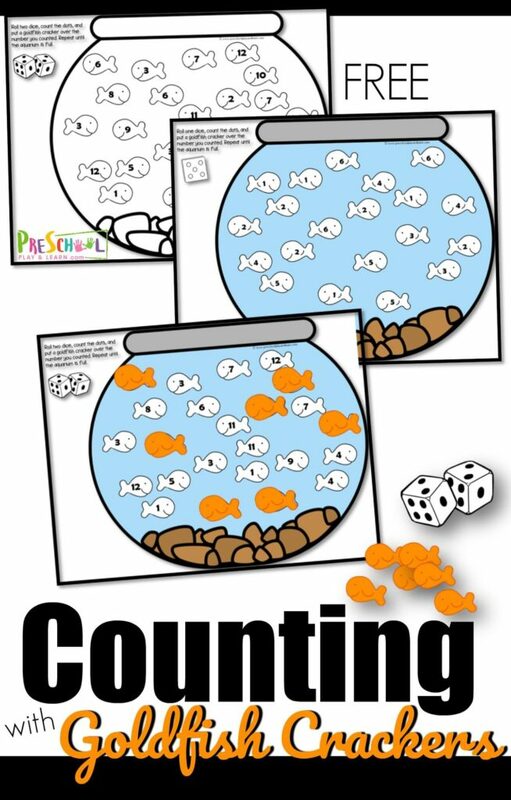 This is such a fun counting games for kids using a hands on manipulative! 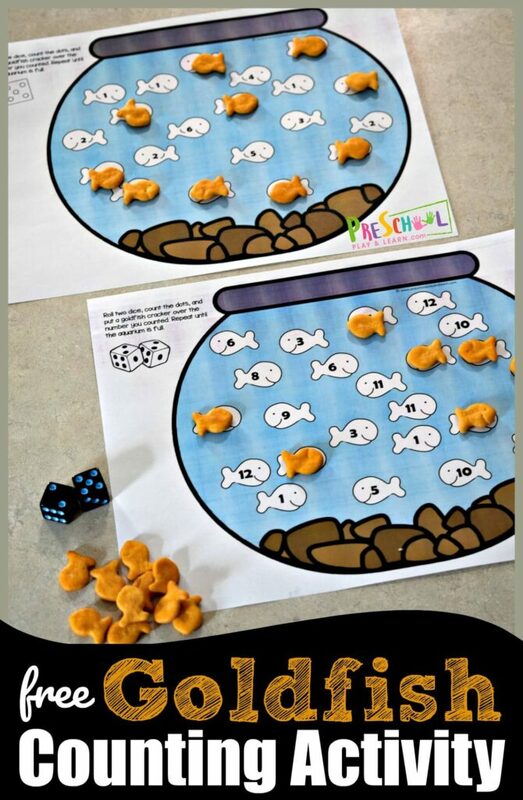 This second version takes it a step further by having preschoolers roll two dice, counting dots up to 12, and then covering the correctly numbered goldfish. 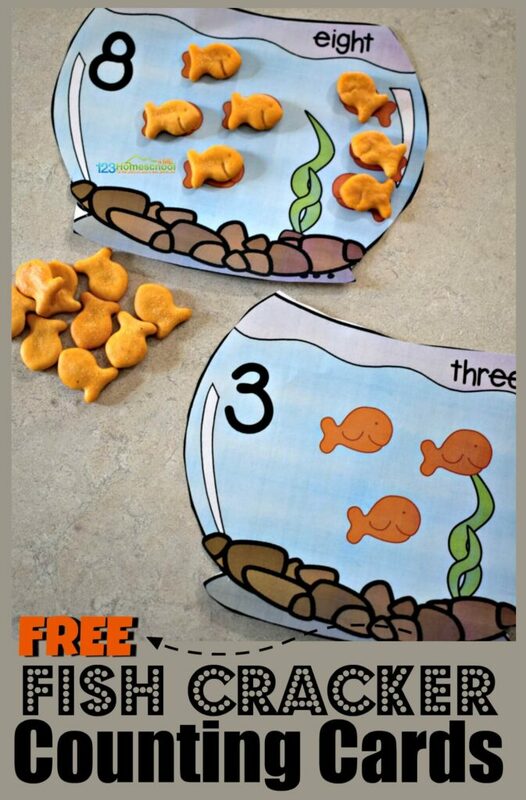 HINT: If you laminate your math printable it is a great reusable snack mat for home preschool or math centers.